According to the latest online speculation on the subject, Microsoft's Surface Book might not be as potent in the graphics department as previously anticipated. Folks on Reddit have had a chance to play around with the Surface Book at Microsoft's retail outlets, and through various means – such as peeking in the Nvidia Control Panel, and running GPU-Z, a system utility which provides info on the graphics processor – they've managed to suss out the power level of the GPU on board the convertible laptop. At the launch of the Surface Book, Microsoft didn't reveal any of the specifications of the device's Nvidia GPU, and only made some vague, albeit impressive sounding, performance claims – including the fact that the device is twice as fast as a MacBook Pro, and is the fastest 13-inch notebook ever made. 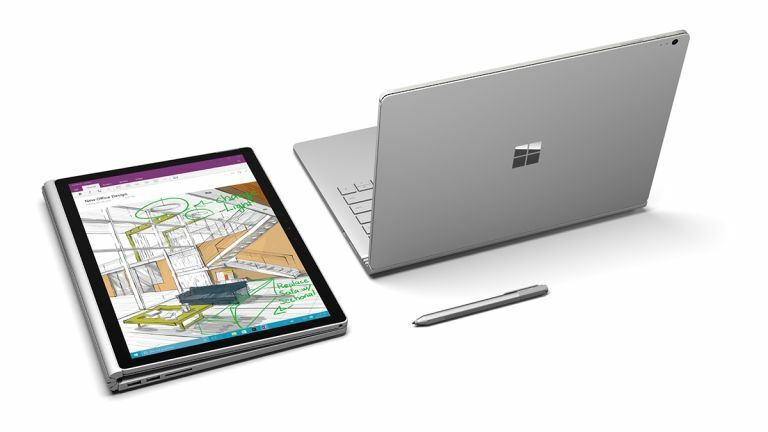 According to what the Reddit delvers found out, as Hexus reports, the custom Nvidia GPU running the frame-rate show in the Surface Book is about equivalent to a GeForce 940M mobile graphics processor. It's apparently clocked at 954MHz by default and offers a pixel fill-rate of 15.3 GPixel/s, with a texture fill-rate of 30.5 GTexel/s. The Surface Book is driven by some beefy Skylake processors, and is certainly a very neat looking machine with a 13.5-inch screen boasting a pixel density of 267 ppi, and a very nifty design when it comes to the detachable display and machined aluminium chassis. At the launch of the device, we very briefly saw Gears of War being played and it looked reasonably smooth, but we're going to have to wait to get our hands on this latest offering and actually review it before we can draw any full conclusions as to its true level of gaming power.